Tour Date 8th November, 2014 (Saturday) to 10th November, 2014. 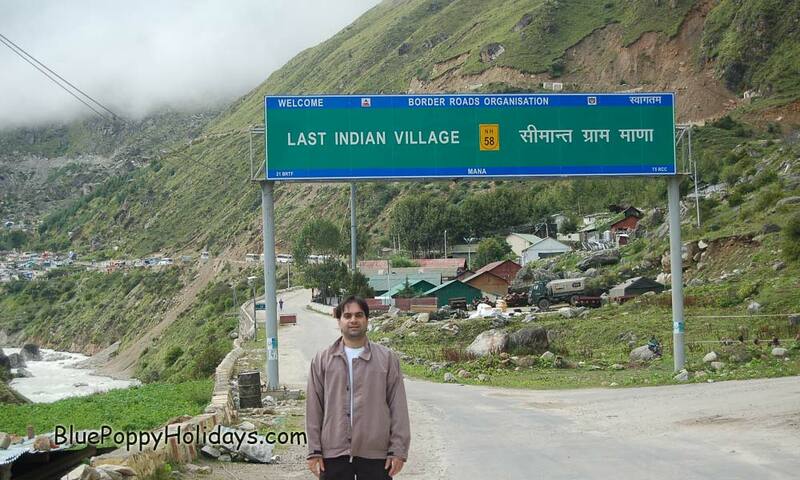 From New Delhi to Haridwar by train and from Haridwar to Pipalkoti by road. Distance travelled: 200 km by train up to Haridwar and 245 km by road from Haridwar to Pipalkoti. Early morning train ( Dehradoon Shatabdi) from New Delhi to Pipalkoti will take you to Haridwar by 11.20 am. From Haridwar we will start our road journey and reach Pipalkoti by late evening. Pipalkoti to Badrinath, Mana and back to Pipalkoti. Distance travelled: 180 km by road. 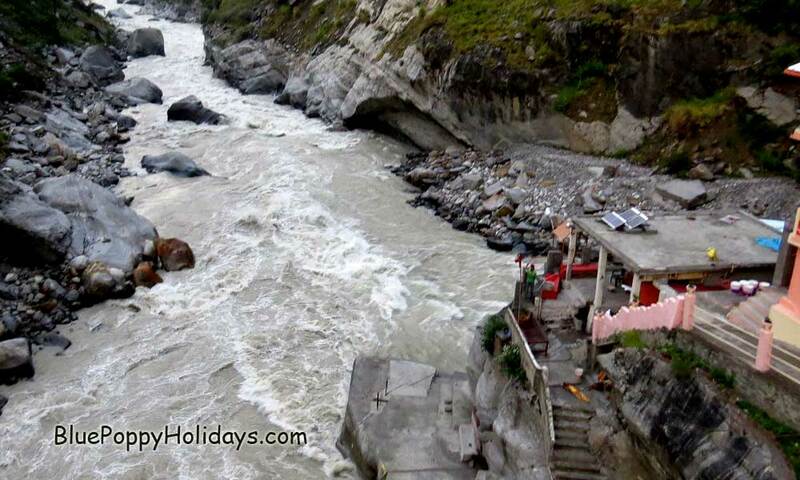 Start early from Pipalkoti and reach Badrinath by 9 am and after visiting temple visit Mana Village and see Saraswati River Starting Point, Keshav Prayag (Confluence of river Alaknanda and Saraswati), Vyas Gufa and Ganesh Gufa. 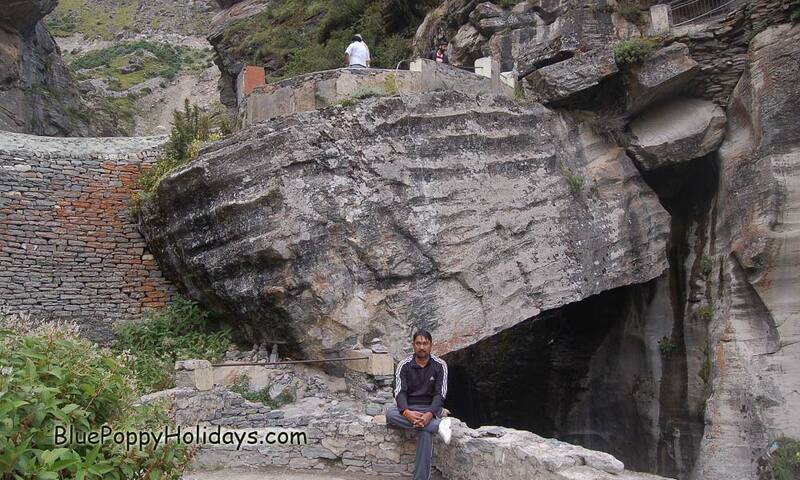 On the way back visit Adi Badri at small village Pandukeshwar , Vishnu Prayag (confluence of river Alaknanada and Dhauli), if time permits we will take you to Auli and come back to Pipalkoti by late evening. 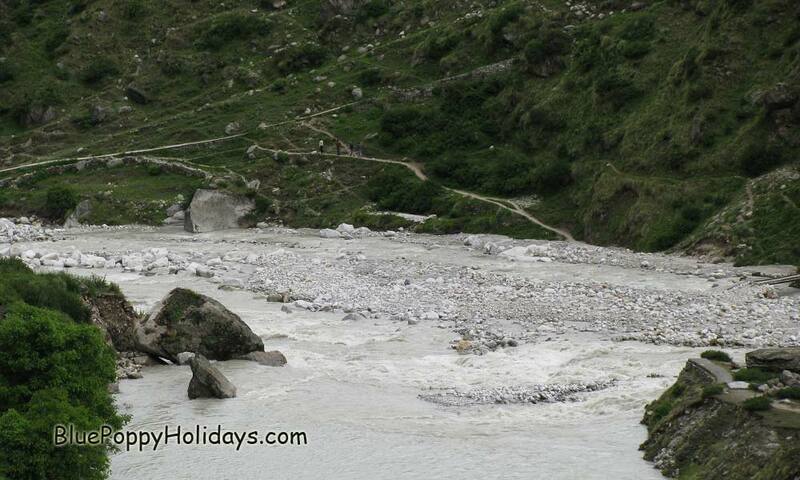 Starting point of Saraswati River, The river comes out from a natural tunnel. 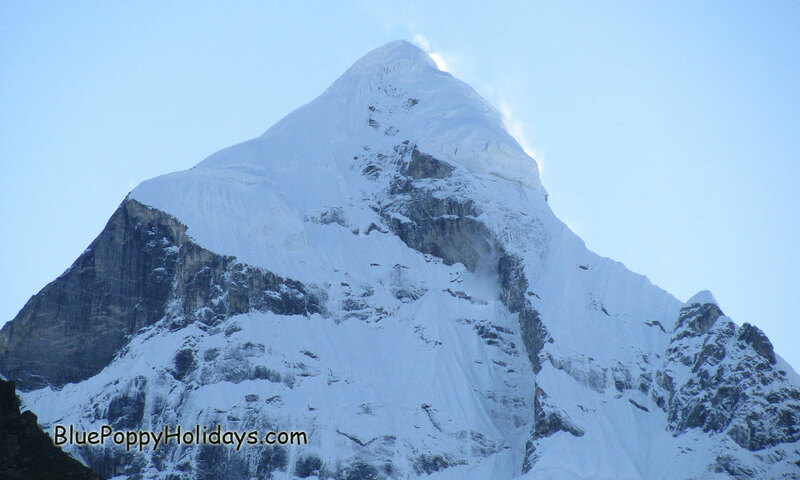 Neelkanth Peak as seen form Badrinath. Pipalkoti to Haridwar by road and Haridwar to Delhi by train. Start early by 5.00 am from Pipalkoti to reach Haridwar by 3.00 pm. Take evening train to New Dehi which starts from Haridwar at 6.15 pm and reaches New Delhi by 10.40 pm. 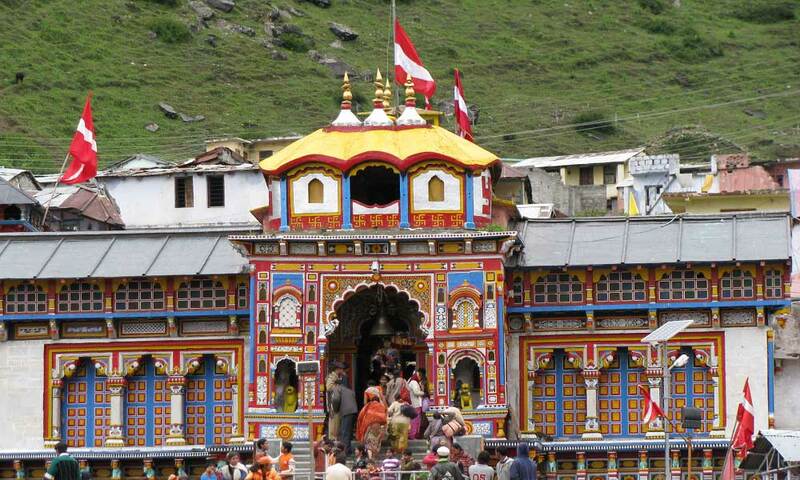 This is a shortest possible itinerary for a trip covering Badrinath and Mana Village with other destinations discussed above. Cost of transportation from Haridwar to Badrinath and back. Cost of stay at Pipalkoti. It does not include meals cost and cost of train ticket from Delhi to Haridwar. 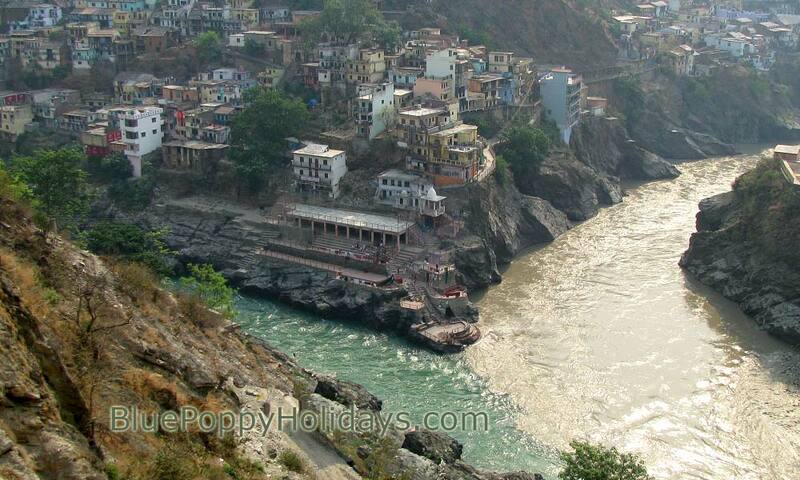 If you wish you can join directly at Haridwar and leave us at Haridwar only. 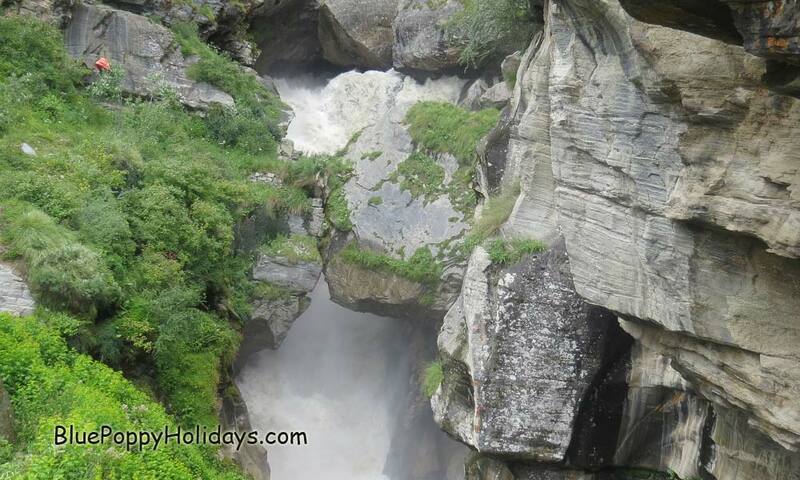 The trip will cover Badrinath, Mana Village, Last Indian Village, Keshav Prayag, Vishnu Prayag, Hanuman Chatti, Neelkanth Peak, Saraswati River Starting Point.